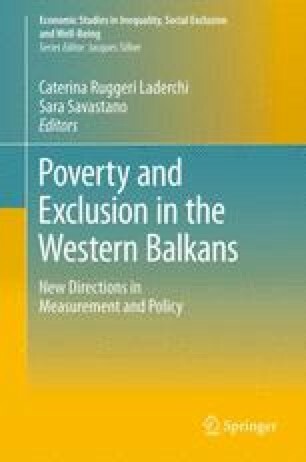 There are two particular issues of the Serbian labor market of extreme importance in the recent debate: the high levels of inactivity and informal employment among the Serbian working-age population. Both of these issues lead to the question if it is actually “worthwhile” for the working-age population to engage in income-generating activities in Serbia. This chapter focuses on the role of labor taxation and social benefit design, how it relates to informal employment and inactivity, and what disincentives for formal work might be provided to people in working age so they choose to “exit” into informality or inactivity. The analysis shows that there are three main reform options to decrease informal employment and to activate the inactive (1) to make formal work pay for low-wage earners, (2) to genuinely means test any entitlements to free health insurance or other municipal entitlements, and (3) to step up inspections and enforcement. The two main policy tools to make formal work pay are to decrease labor taxation at the lower wage levels and to reform benefit design for social assistance and family benefits. Michael Weber contributed to the empirical analysis focusing on integrating income data from the household budget survey with data from the labor force survey. Background papers have been provided by Nikica Mojsoska-Blazevski, Victor Macias, Sasa Randjelovic, Bojan Ristic, and Jelena Zarkovic Rakic. This chapter greatly benefited from a close cooperation with Tatiana Gordine, Herwig Immervoll, and Dominique Partout at the Social Policy Division of the Organisation for Economic Co-operation and Development (OECD). Generous financial support has been provided by the governments of Austria, Germany, Korea, and Norway through the Multi-donor Trust Fund on Labor Markets, Job Creation, and Economic Growth. The views and opinions expressed in this chapter are solely those of the authors and do not represent the views and opinions of the World Bank, its board of Executive Directors, or the countries they represent. Eurostat (2010) Statistics Database. Available at http://ec.europa.eu/eurostat.